 The Scene Magazine - Page 4571 of 4579 - What's up Toronto? The 22nd Annual St. Johns International Women’s Film Festival kicked off with a record number of 80 films taken from over 468 submissions from the 18th-22nd of October. The main highlight of this years festival was the world premier of Beat Down, directed by award-winning filmmaker Deanne Foley (Trombone Trouble). Filmed in St. Johns, Foleys home town, and produced by Pope Productions, Beat Down stars Marthe Bernard best known for her work on the CBC Television show Republic of Doyle, as an 18-year old girl who wants nothing more than to be a pro wrestler. Foley has always produced wry and slyly amusing stories about girls growing up, says Noreen Golfman, Festival founder and Chair of the Board of Directors. Beat Down capably extends her favourite theme into a full-blown narrative. Beat Down, created through Telefilm Canadas Feature Film Fund, screened on Opening Night at the Arts and Culture Centre. This great film is one of the 17 that are debuting in the festival that were written, produced and/or directed by filmmakers of Newfoundland and Labrador. As Executive Director, Kelly Davis put it The World is watching the St. Johns International Womens Film Festival, Were on the film industry radar in many countries and were internationally recognized for the outstanding quality of the films we screen. Thats a big deal for this little festival. More than just movies the festival was also host to Flim Forum 2011- a five day series of workshops, seminars and networking sessions involving local, national and international broadcasters, producers, distributors, writers and other film industry professionals.